Next review Nugenix - Never received paid for product! Nugenix illegally withdrew money from my account ! Apr 22, 2017 We’re sorry you had an issue with your order. Our records indicate you did complete your order, you received the trial sample, and at the end of the trial period you were shipped your monthly supply. We would have been happy to help you if you had contacted us directly about customer service, prior to posting this review. Our records indicate that after this posting your account was canceled and you also received a refund. I saw an offer to try a free bottle of Nugenix, I thought it looked interesting so provided my debit card number like these free offers always demand. 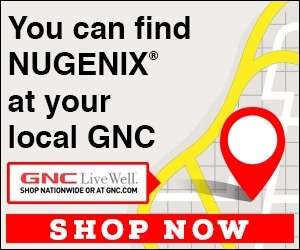 As I read I could see Nugenix was trying to trick me into a recurring monthly recipient of their product so I agreed to nothing and deleted the page. That was last week. This week Nugenix withdrew $76 from my account! Do not do any business with them! I could tell that Nugenix was trying to trick me and that it would end up with them locking me into this deal and charging my account so I stopped and I left the page.They very deceitfully charged $76 from my account causing me money problems I did not see coming. Reason of review: Did not agree and left page.. I didn't like: Deceptive business practices, Unauthorized credit card charge. Review #1022541 is a subjective opinion of pduckwald.